www.ditl.org • View topic - Abramsverse version of DITL? Are you guys are going to do a DITL treatment to all of the ships featured in the two movies? It doesn't have to be as extensive but you could do a small mirror site or seperate page to feature all of the technology and ships. Even articles discussing the differences or interesting things seen in the movies. Re: Abramsverse version of DITL? We already have minor ship entries on many of them. 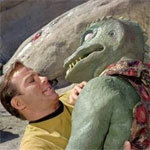 Well I meant a 'different' DITL that had everything Abrams bit everything Roddenberry on the main site. Ships would also include even the NX class as well as the Ring ship Enterprise. The NX class and ring ships would be the same in both universes since they happen before the branch off point in 2233. We've talked a lot about the best way to incorporate Abramsverse stuff. We considered having some sort of special section or subsite or something, since this one is obviously going to be a much bigger alternate than others we've encountered - although in terms of hours spent on it the Mirror Universe probably beats out the Abrahmsverse. But DITL is already set up to handle alternate universes, with alternate timelines and ships and such, so in the end we decided to just stick with the existing structure. You could make a Section 31 top classification zone, click the button, up pops a request for a password, anything you enter is accepted, then it takes you to the "Alternate universe" section, with all the "research" section 31 has done on the alternate universe. Or just make it starfleet intelligence. My own personal (and probably largely worthless) opinion is that Graham and Ian should do things in the way that a) they like, and b) require the minimum amount of effort on their part. Teaos wrote: You could make a Section 31 top classification zone, click the button, up pops a request for a password, anything you enter is accepted, then it takes you to the "Alternate universe" section, with all the "research" section 31 has done on the alternate universe. Or just make it starfleet intelligence. Given my INTENSE dislike of Section 31, the former option is very unlikely. GrahamKennedy wrote: The NX class and ring ships would be the same in both universes since they happen before the branch off point in 2233. I've said it before and I'll say it again - I'm convinced that the differences in the scale and aesthetics of Abramsverse engineering compared to the Geneverse means that there's a branch point before the Narada's arrival. As for the issue of whether a new site is needed, there might come a point in the future where it would make sense to go down that route due to the volume of information available, but that's a long way off. And I've said it before and I'll say it again - that opinion is not directly supported by anything in canon. At best it depends on assumptions and interpretations of canon which are entirely subjective. SPOCK: You are assuming that Nero knows how events are predicted to unfold. To the contrary, Nero's very presence has altered the flow of history, beginning with the attack on the USS Kelvin, culminating in the events of today, thereby creating an entire new chain of incidents that cannot be anticipated by either party. It really depends on what happens next. I'm presuming there will be a third film, since Into Darkness made money. After that... if there are more films, or a spin off TV series set in the same universe, something like an Abramsverse TNG perhaps, then we'd have to relook at it. GrahamKennedy wrote: And I've said it before and I'll say it again - that opinion is not directly supported by anything in canon. At best it depends on assumptions and interpretations of canon which are entirely subjective. The neo-E is as big or bigger than a GCS and considerably faster. The idea that the mere arrival of the Narada could have led to Fed engineering producing something that size a century ahead of time in a period when they'd already have been looking for every slight advantage in the Klingon cold war, defines belief. The issue of speed is a bit iffy, given that the E-nil's demonstrated capabilities mean that either ships got a lot slower in the century between TOS and TNG, or the two are already different universes. It's indisputable that the Narada's arrival changed history. However, Spock didn't have the additional evidence we do of the scale of the differences between the Geneverse and Abramsverse, nor was he discussing timeline changes in general - he was specifically addressing the effects of Nero's actions. It may defy your belief, perhaps. The Federation of Kirk's era built Spacedock, a structure which is some 950 times the volume of a Galaxy class Starship. There is absolutely nothing to suggest that building large structures is impossible for them. Speed is more of an issue, but it's certainly not impossible that the Abrams Trek made some advance in warp drive that the original timeline did not. And if anything, common sense would indicate that such a thing is less plausible if it happened in earlier, in more primitive times. Indeed, one can posit that the Narada's arrival caused a branching off from a universe that had already branched off at an earlier point. However, it is up to anybody who wants to make that assertion to prove it. But the point I was making is that the creators of the film put that scene in there, using the dialogue they did, specifically to explain to the audience what they intended this film to depict. Whether you like it or not, their intent is that Nero's arrival is the branching point. You can reject that if you like, but that's the basis the Abramsverse is built on and that's the point of view it's being written on. I still like the idea that the Borg time travel in FC created an alternate timeline, which we see in Enterprise, and then the Abramsverse is a branch off of that. That is what i am talking about. There really isn't a reason a side from aesthetics because I doubt it isn't that difficult to find the Abrams ships on the site if someone is looking for it. I am just thinking to keep the two universes separate from each other. Even expand on the background ships that we have seen with conjecture. As far as the point of departure between the two universes. First Contact could be one or not. I doubt s single large ship like the Narada caused the dramatic departure that we have seen. There are too many things different that a single event like that would cause. There is also the interference of... whomever, who caused the Xindi to attack Earth (which was stated to have not happened in the original timeline). So there is a lot of stuff that likely altered the timeline form the prime.